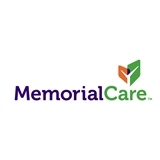 MemorialCare Medical Group Rancho Santa Margarita (Rancho Santa Margarita) - Book Appointment Online! A good visit. Good reception greetings and Drs. visit. Great! Ryan Ritchie is always helpful with a lot of knowledge. I always try scheduling with him first, he is usually available which is great! Outstanding - very nice Slyvia & the doctor - PA has outstanding customer service & treat you like family. They are an asset to the medical field. Fantastic! Amazingly thorough & great bedside manner. Very thorough. Thank you. Easy to understand. Explained well.